With an exhaustive sigh of relief, most of the significant physical obstacles were in the rear-view mirror. Moving forward, most of the work included things I needed to have others do or was comfortable with and could finish without significant setbacks. 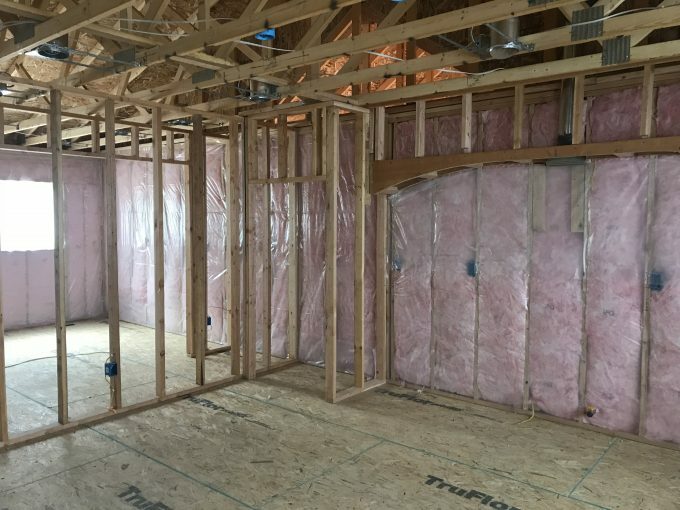 This included work I would subcontract like the sheetrock/taping, insulation, and Xcel Services. 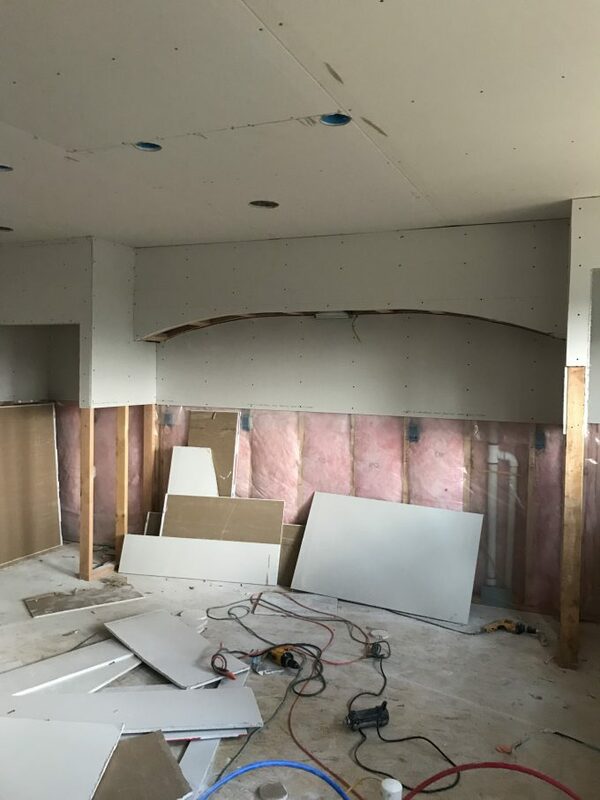 The sheetrock and insulation were both simple tasks but would be difficult without a skilled second set of hands, and the Xcel Service was out of my control, so I relied on others to complete these parts. I haven’t done a great job of keeping you up to date on schedule, it was now the beginning of June and as a recap: Footing/Foundations were approved around the end of January, we found out we were having a baby in March, Framing, Trusses and Sheathing (both roof and walls) in early April, Plumbing/Electrical in early May, and Mechanical toward the end of May. Yes, you may have noticed a baby reference in there, this kept me motivated and gave us a date of November 3rd as a mandatory completion time! Before we could finish the interior, the electric and gas lines needed to be installed by Xcel. This held up a fair amount of the work and gave me a little time to breathe (not that I wanted it). While waiting on them, I had a little help setting the meter box on the house and connected our panel on the inside. We started our application with Xcel in early January, and it was completed in early June, not that we expected them to work quickly anyway. The gas line was straight forward, with the main line under the center of our road; a small street patch and short service line got us our gas line. Electric was a different challenge; there was added complexity when we found out there were not any electric poles or transformers close to us, which meant that over 200 feet of service line would be needed by either adding poles or trenching through a neighboring property. We found out that there was a blanket easement over our entire neighborhood that allowed Xcel to run power through any property, which directed us toward that option. Also, the overhead poles and lines weren’t desirable by the neighbors either, so they were interested in running the line through their yard as well. Given the great service and timing, we needed to pay for the entirety of the work before we would be placed on their schedule and the bill was around 12k. The entire process was a mess with them, including boring through a septic field, cutting fences, trenching within a foot of large trees, and other disrespectful and lazy work. With things outside of my control completed, my focus turned to the things I could control. I have always said that I refuse to tape and texture walls and ceilings for 2 reasons; first, most work directly rewards you for time invested while taping seems to get worse the more you tinker, and second is that any mistakes will cause you to stare at these imperfections for the duration of your time living in the house! I lined up a crew to insulate, rock, and tape the garage/house and kept them in the loop with our schedule as we got closer. 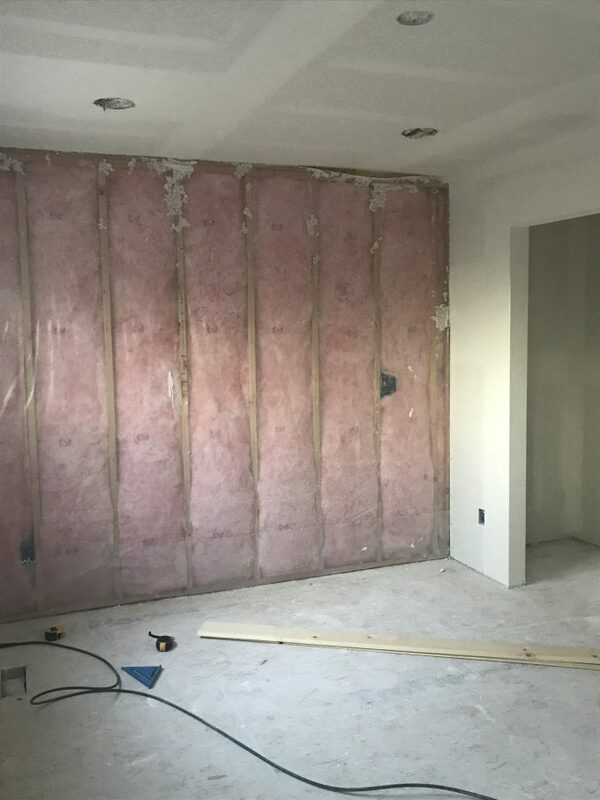 The insulation crew knocked out the work in 2 days; they blew in a majority of the insulation instead of using batts and placed the vapor barrier outside of that. Insulation is one time when the money you invest will be well worth it, maximizing R-values to avoid high heating and cooling costs is key. This is another time when the difference between vapor barrier requirements in a humid climate compared to that of an arid climate were noticeable; the focus on sealing all cracks and openings was not nearly as critical. 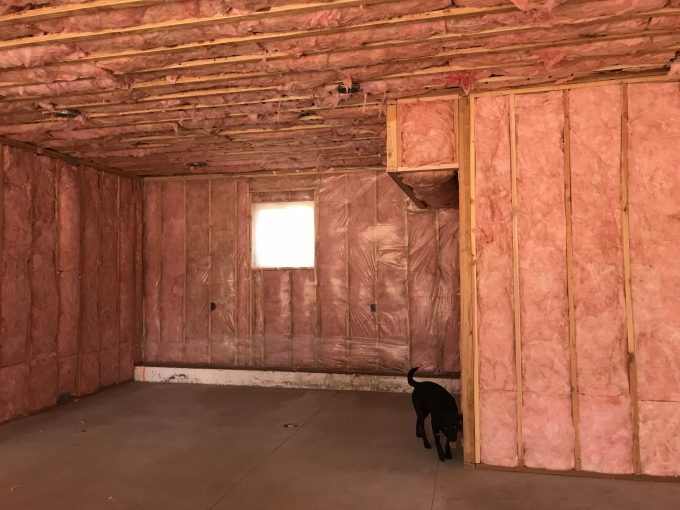 One thing to consider is that all of the walls need to be insulated prior to sheetrock, but the insulation of the ceiling is done after the sheetrock so that the rock supports the blown insulation in the attic; some attic access locations needed to be added but coordination to avoid circular blame can certainly be an issue during this step. Next was the rock/taping, I was responsible for getting all materials to the house for the rock/taping crew and had everything set to be delivered two days before the crew arrives. Due to scheduling, I ordered the rock from Home Depot because I was able to order and hold the material when it was at a much lower price early in construction. During construction the cost of sheetrock escalated drastically which saved me almost 40% by pre-ordering; the only drawback was relying on them for delivery, and on day two I was still waiting for my delivery… As usual, six or seven calls were made, and they ended up making four deliveries using regular service trucks to deliver the rock the evening before it was needed, it was stressful and payback for the savings I got out of it! As it was with most of this project, every day was critical, and I couldn’t afford the occasional 1-2 week delays during most projects, but it certainly added complexity and stress to the work. 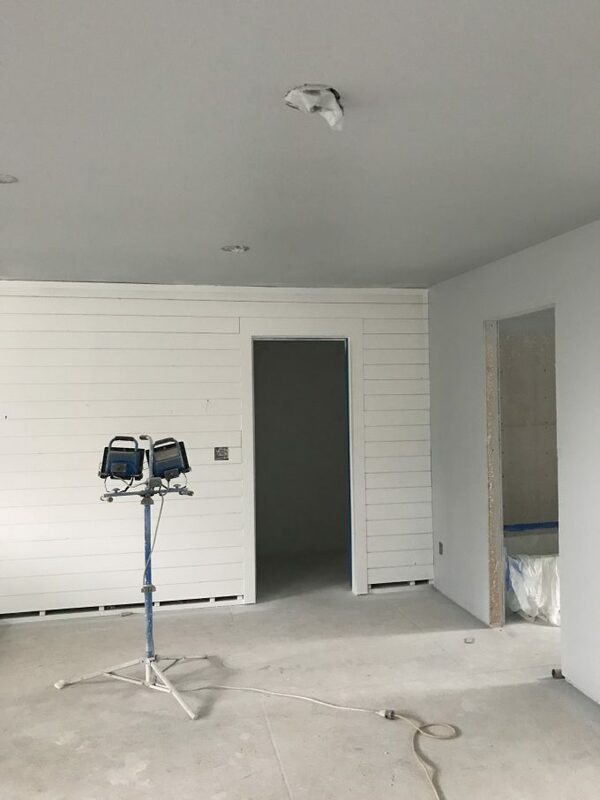 We used some wood shiplap for two accent walls, used cement board for all areas to be tiled including the shower, kitchen, and fireplace area, and sheetrocked the remaining surfaces. 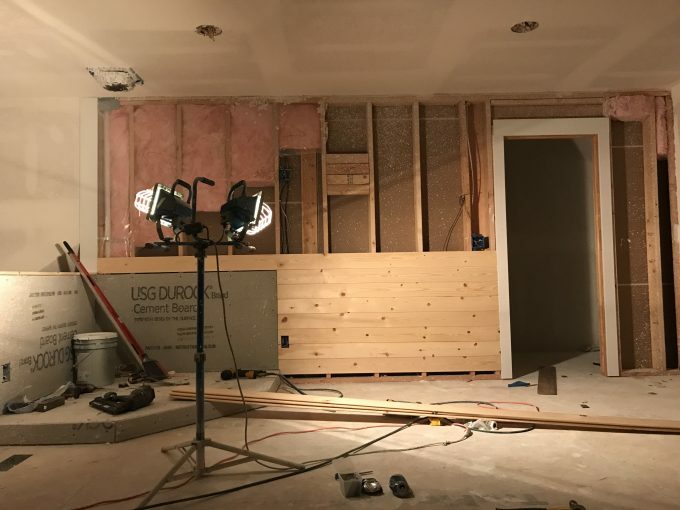 It was a delicate balance waiting for the insulation to be installed before adding the cement board and waiting until after the sheetrock was taped to install the shiplap. The crew rocked and taped the place in a week, and I stepped into prime and paint the interior. In this case, we wanted to use two paint colors, light grey, and white, for the entire space to keep things simple. 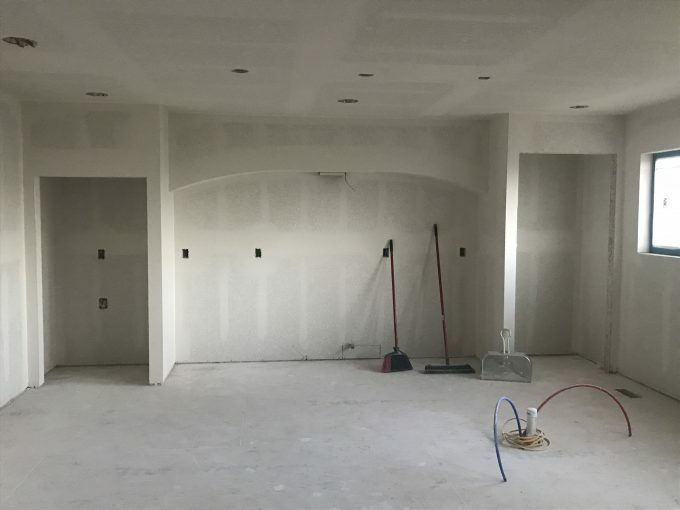 We used the light grey on the walls and ceiling and white for the two accent walls. 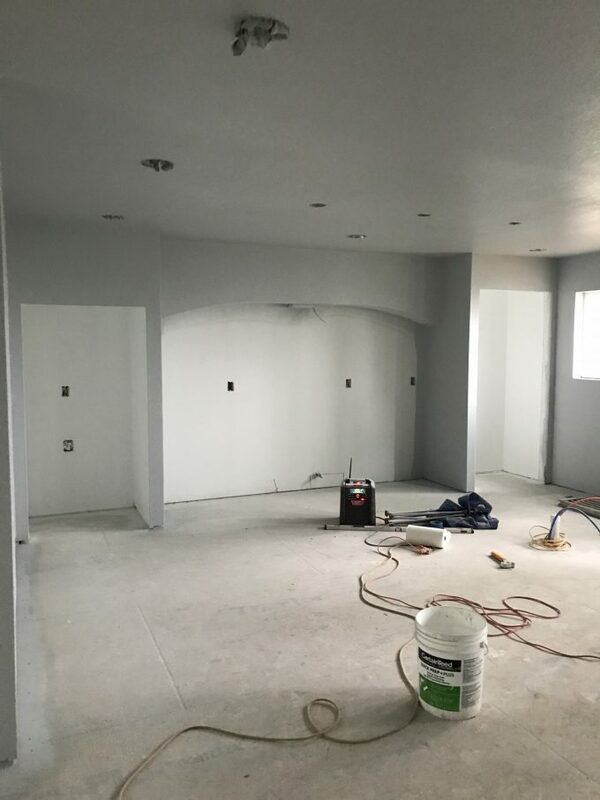 The grey looked great, and we really liked using it for the ceiling, as well as the walls, but one drawback was that we ended up using a higher quality paint on the ceiling than most people do and there was extra cost for that quality, ceilings usually get a simple white paint given its location. We now had power, heat, walls, and all the messy things were nearly wrapped up. It was time to start on the finishing touches with flooring, cabinets, tiling, and fixtures!